This section discusses the PhysX geometry classes. Geometries are used to build shapes for rigid bodies, as collision triggers, and as volumes in PhysX' scene query system. PhysX also provides standalone functions for testing intersection between geometries, raycasting against them, and sweeping one geometry against another. Geometries are value types, and inherit from a common base class, PxGeometry. Each geometry class defines a volume or surface with a fixed position and orientation. A transform specifies the frame in which the geometry is interpreted. For plane and capsule geometry types PhysX provides helper functions to construct these transforms from common alternative representations. 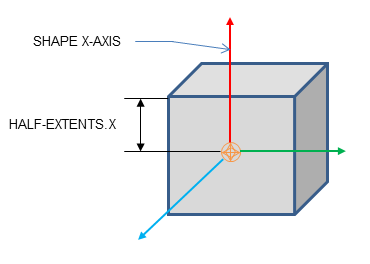 meshes or height fields (PxConvexMeshGeometry, PxTriangleMeshGeometry, PxHeightFieldGeometry), where the geometry object contains a pointer to a much larger object (PxConvexMesh, PxTriangleMesh, PxHeightField respectively) You can use these objects with different scales in each PxGeometry type which references them. The larger objects must be created using a cooking process, described for each type below. When passed into and out of the SDK for use as simulation geometry, the geometry is copied into and out of a PxShape class. It can be awkward in this case to retrieve the geometry without knowing its type, so PhysX provides a union-like wrapper class (PxGeometryHolder) that can be used to pass any geometry type by value. Each mesh (or height field) has a reference count that tracks the number of PxShapes whose geometries reference the mesh. 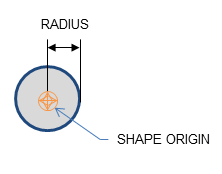 A PxSphereGeometry is specified by one attribute, its radius, and is centered at the origin. 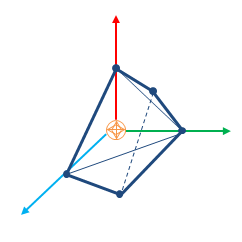 A PxCapsuleGeometry is centered at the origin. 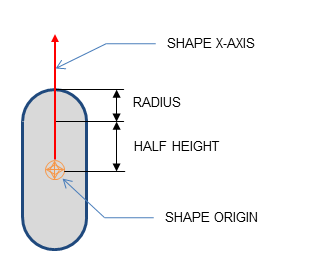 It is specified by a radius and a half-height value by which its axis extends along the positive and negative X-axis. The function PxTransformFromSegment() converts from a line segment defining the capsule axis to a transform and halfheight. 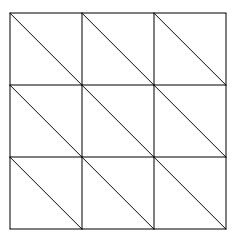 Where a, b and c are the side lengths of the resulting box. 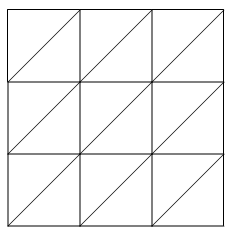 Planes divide space into "above" and "below" them. Everything "below" the plane will collide with it. The Plane lies on the YZ plane with "above" pointing towards positive X. To convert from a plane equation to an equivalent transform, use the function PxTransformFromPlaneEquation(). PxPlaneEquationFromTransform() performs the reverse conversion. A PxPlaneGeometry has no attributes, since the shape's pose entirely defines the plane's collision volume. Shapes with a PxPlaneGeometry may only be created for static actors. A shape is convex if, given any two points within the shape, the shape contains the line between them. A PxConvexMesh is a convex polyhedron represented as a set of vertices and polygonal faces. The number of vertices and faces of a convex mesh in PhysX is limited to 255. Creating a PxConvexMesh requires cooking. It is assumed here that the cooking library has already been initialized (see Startup and Shutdown.) The following steps explain how to create a simple square pyramid. A user can optionally provide a per-instance PxMeshScale in the PxConvexMeshGeometry. The default scale is the identity. Convex Mesh cooking transforms the mesh data into a form which allows the SDK to perform efficient collision detection. The input to cooking is defined using the input PxConvexMeshDesc. There are different ways to fill in this structure, depending on whether you want to produce a convex mesh starting from just a cloud of vertices, or whether you have the vertices and faces of a polyhedron already. The algorithm tries to create a convex mesh from the source vertices. The field convexDesc.vertexLimit specifies the limit for the maximum number of vertices in the resulting hull. This routine can sometimes fail when the source data is geometrically challenging, for example if it contains a lot of vertices close to each-other. If cooking fails, an error is reported to the error stream and the routine returns false. In this case the best option is to set both PxConvexFlag::eCOMPUTE_CONVEX and PxConvexFlag::eINFLATE_CONVEX to switch to an alternate mesh generation function that allows inflation of the source data (by a margin defined by PxCookingParams::skinWidth). Inflation allows more freedom to correct problematic geometry. Without inflation, cooking creates a convex mesh whose vertices are a subset of the original vertices, and the number of vertices is guaranteed to be no more than the specified maximum. Inflation will bevel sharp edges, which may add new vertices beyond the specified maximum. In addition, beveling may create small triangles, so PxCookingParams::skinWidth needs to be chosen carefully. TODO(Ales): - yes, but how? If PxConvexFlag::eCHECK_ZERO_AREA_TRIANGLES is used, the algorithm does not include triangles with area less than PxCookingParams::areaTestEpsilon. If the algorithm cannot find 4 initial vertices without a small triangle, PxConvexMeshCookingResult::eZERO_AREA_TEST_FAILED is returned. This does mean that the provided vertices were in a very small area and could not produce a valid hull. Please note, if this flag is used in combination with eINFLATE_CONVEX, the newly added triangles by the inflation algorithm are not checked (size of the triangles depends on PxCooking::skinWidth). The toolkit helper function PxToolkit::createConvexMeshSafe illustrates the most robust strategy for convex mesh cooking. First it tries to create the hull without inflation. If that fails it tries inflation, and if that also fails, uses an AABB or OBB. clean vertices - remove duplicates etc. If inflation is required, bevel sharp edges and add additional vertices. Compute vertex map table (requires at least 3 neighbor polygons for each vertex). Check polygon data - verify all vertices are on or inside the hull, etc. When points and polygons are provided, the SDK validates the mesh and creates the PxConvexmesh directly. This is the fastest way to create a convex mesh. Note that the SDK requires at least 3 neighbor polygons for each vertex. Otherwise acceleration structure for PCM is not created and it does result in performance penalty if PCM is enabled. Compute vertex map table, requires at least 3 neighbor polygons for each vertex. Check polygons data - check if all vertices are on or inside the hull, etc. Compute mass and inertia tensor assuming density 1. Indices can be 16 or 32 bit. The strides used here assume that vertices and indices are arrays of PxVec3s and 32bit integers respectively with no gaps in the data layout. Like height fields, triangle meshes support per-triangle material indices. To use per-triangle materials for a mesh, provide per-triangle indices to the cooking library in the mesh descriptor. Later, when creating the PxShape, supply a table mapping the index values in the mesh to material instances. Check validity of input vertices. Weld vertices and check triangle sizes. create acceleration structure for queries. Compute edge convexity information and adjacencies. 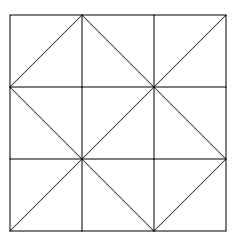 Note that mesh cleaning may result in the set of triangles produced by cooking being a subset different from the original input set. PhysX can optionally output a mesh remapping table which allows the each new triangles to be associated with an original. There are multiple parameters to control mesh creation. materialIndices defines per triangle materials. When a triangle mesh collides with another object, a material is required at the collision point. If materialIndices is NULL, then the material of the PxShape instance is used. scale defines Tolerance scale is used to check if cooked triangles are not too huge. This check will help with simulation stability. suppressTriangleMeshRemapTable specifies whether the face remap table is created. If not, this saves a significant amount of memory, but the SDK will not be able to provide information about which original mesh triangle is hit in collisions, sweeps or raycasts hits. buildTriangleAdjacencies specifies if the triangle adjacency information is created. The adjacent triangles can be retrieved for a given triangle using the getTriangle. meshPreprocessParams specifies mesh pre-processing parameters. PxMeshPreprocessingFlag::eWELD_VERTICES enables vertex welding during triangle mesh cooking. PxMeshPreprocessingFlag::eDISABLE_CLEAN_MESH disables mesh clean process. Vertices duplicities are not searched, huge triangles test is not done. Vertices welding is not done. Does speed up the cooking. meshWeldTolerance - If mesh welding is enabled, this controls the distance at which vertices are welded. If mesh welding is not enabled, this value defines the acceptance distance for mesh validation. Provided no two vertices are within this distance, the mesh is considered to be clean. If not, a warning will be emitted. Having a clean mesh is required to achieve the best possible performance. meshCookingHint specifies mesh hierarchy construction preferences. Enables better cooking performance over collision performance, for applications where cooking performance is more important than best quality mesh creation. meshSizePerformanceTradeOff specifies the trade-off between mesh size and runtime performance. Each sample consists of a 16 bit integer height value, two materials (for the two triangles in the samples rectangle) and a tessellation flag. The flag and materials refer to the cell below and to the right of the sample point, and indicate along which diagonal to split it into triangles, and the materials of those triangles. A special predefined material PxHeightFieldMaterial::eHOLE specifies a hole in the height field. See the reference documentation for PxHeightFieldSample for more details. The row and column scales tell the system how far apart the sampled points lie in the associated direction. The height scale scales the integer height values to a floating point range. The variant of createShape() used here specifies an array of materials for the height field, which will be indexed by the material indices of each cell to resolve collisions with that cell. The single-material variant of createShape() may be used instead, but the height field material indices must all be a single value or the special value eHOLE. Contact generation with triangle edges at the terrain's borders can be disabled using the PxHeightFieldFlag::eNO_BOUNDARY_EDGES flag, allowing more efficient contact generation when there are multiple heightfield shapes arranged so that their edges touch. Heightfield data can be cooked in offline and then used to createHeightField. The cooking does precompute and store the edge information. This allows much faster create of the heightfield, since the edges are already precomputed. It is very useful if you need to create heightfields in the runtime, since it does improve the speed of createHeightField significantly. Load heightfield samples into internal memory. The default heightfield collision code works completely differently from triangle meshes. While the triangles of a triangle mesh do not collide with any shape that does not actually intersect them, the default height field collision reports contacts with shapes that are submerged under the surface of the height field. This difference in handling while often practical can also be undesireable when uniform collision behavior is expected. Starting with SDK 3.3, we have introduced a new alternate Heightfield collision path that routes height field triangles to the triangle mesh collision narrow phase, which ensures uniform results. With this codepath heightfields become just as 'thin' as a triangle mesh surface, and an increased reliance on continuous collision detection will be needed to prevent the tunneling of fast objects, as is the case with meshes. before any scenes are created. The height field code used is a global setting, and it applies to all scenes. A shared PxTriangleMesh or PxConvexMesh may be stretched or compressed when it is instanced by a geometry. This allows multiple instancing of the same mesh with different scale factors applied. 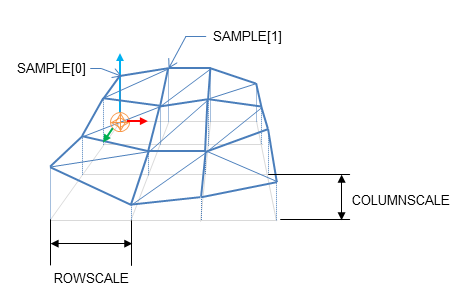 Scaling is specified with the PxMeshScale class, which defines scale factors to be applied along 3 orthogonal axes. A factor greater than 1.0 results in stretching, while a factor less than 1.0 results in compression. The directions of the axes are governed by a quaternion, and specified in the local frame of the shape. In this example, the coordinates along the x and z axes are scaled by hfScale, while the sample heights are scaled by heightScale. The status return code is set to false if the shape's geometry is not of the expected type. 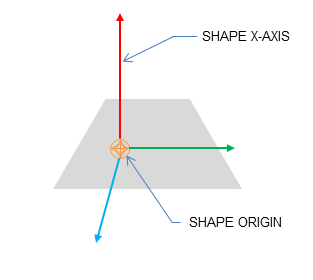 However, it is often convenient to retrieve a geometry object from a shape without first knowing its type - for example, to call a function which takes a PxGeometry reference as an argument. in PhysXSample.cpp contains a switch statement with a case for each shape type, illustrating the steps required to query the vertices and faces. It is possible to get information about triangle from a triangle mesh or height field using PxMeshQuery::getTriangle function. You can also retrieve adjacent triangle indices for the given triangle (triangle triangleNeighbour[i] shares the edge vertex[i]-vertex[(i+1)%3] with triangle indexed as 'triangleIndex', where vertex is in the range from 0 to 2). To enable this feature the triangle mesh is cooked with buildTriangleAdjacencies parameter set to true. Observe that the vertex indices of the polygon begin at indexBuffer[face.mIndexBase], and the count of vertices is given by face.mNbVerts. The storage of height field data is platform-dependent, and therefore direct access to the height field samples is not provided. Instead, calls are provided to render the samples to a user-supplied buffer. The samples are stored in row-major order; that is, row0 is stored first, followed by row1, then row2, and so on. Thus the sample corresponding to the ith row and the jth column is i*nbCols + j. Then tessellate the field from the samples as required. // Source samples that are out of range of target heightfield will be clipped with no error. 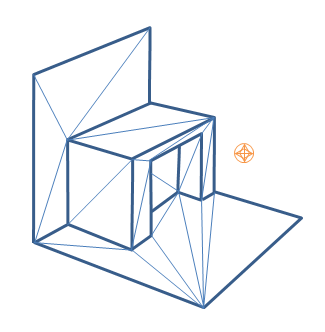 Please also note that PxShape::setGeometry() does not guarantee correct/continuous behavior when objects are resting on top of old or new geometry.